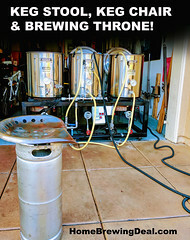 Coupon Description: MoreBeer.com currently has a coupon code that will get you a 14 Gallon Stainless Steel Home Brewing Kettle for just $119. 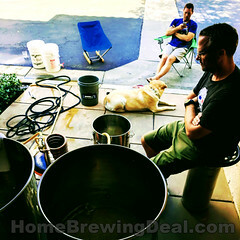 Are you looking for the best price on a large stainless steel home brewing kettle? Well you just found it. 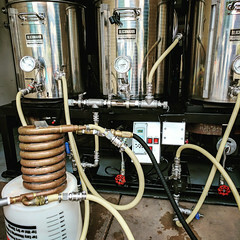 This is a 14 Gallon stainless steel homebrewing kettle with two 1/2″ couplers welded to the front! These ports are ideal for a thermomenter and ball valve. 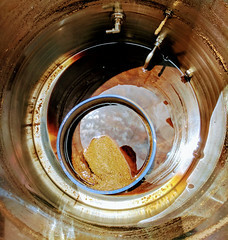 The bottom 1/2″ coupler can be threaded on the inside of the kettle as well – great for a diverter or kettle tube screen.